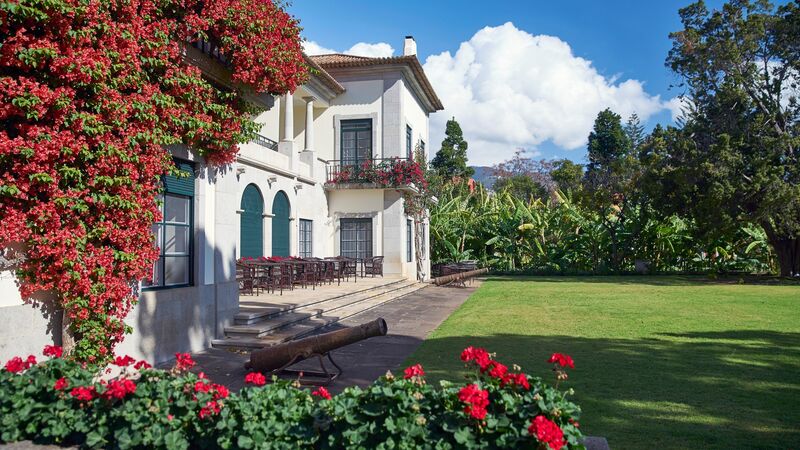 The capital of Portugal’s famously beautiful island of Madeira, Funchal is perfect for couples and families. Enjoy the fantastic tropical gardens filled with bright flowers and palm trees, as well as the cable car which takes visitors to the top of the mountain for spectacular views. Take the ride over the winding streets of the whitewashed town which lead down to the sparkling Atlantic Ocean or wander through, ducking into boutiques, street side cafés and bars along the way. Families and couples can spend lazy days relaxing on the golden sandy beaches, with water sports and activities perfect for those wanting to keep active. Backed by lively tavernas you can enjoy delicious fresh fish caught straight from the Atlantic, as well as Portuguese specialities, salads, pastas and light dishes. In the evening taste some of the island’s delicious cocktails, as well as international wines and champagnes and the famous Madeira wine at its best. 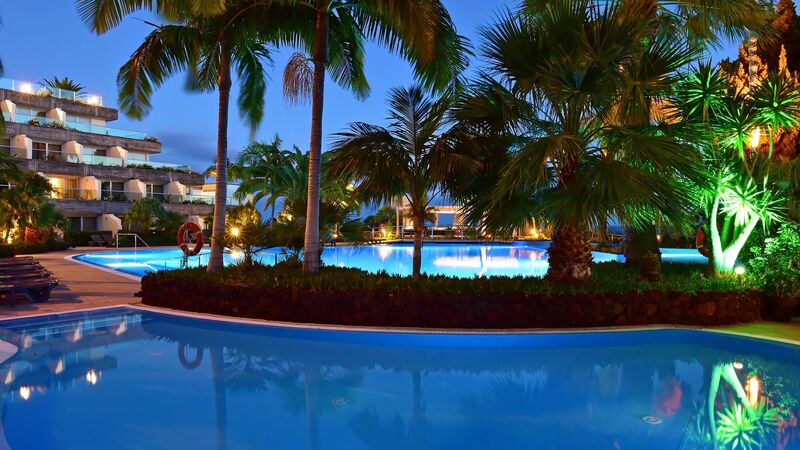 There are plenty of fantastic sights and amenities for those wanting a taste of luxury on holidays in Funchal. The lively atmosphere centres around the beautiful harbour where you can window shop for luxury yachts as you watch the sky turn pink as the sun sets. Cosmopolitan bars and restaurants line the area, with fine dining menus designed by expert chefs and fresh seasonal dishes perfect for those who like to dine al fresco. The narrow cobbled streets are dotted with interesting shops, restaurants and cafes, and at the city's heart is a towering 16th-century cathedral (remember to look up – it’s got a beautiful ceiling carved from local wood). The old town is home to bustling farmers' markets and flower markets in spring, and is fringed with a mix of parks, galleries and museums, as well as pretty botanical gardens. 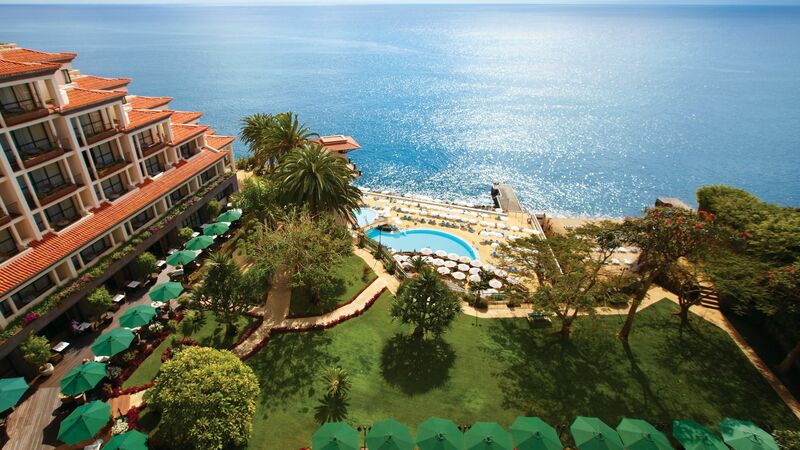 At Sovereign we have hand selected each of the hotels in our luxury Funchal holidays collection. 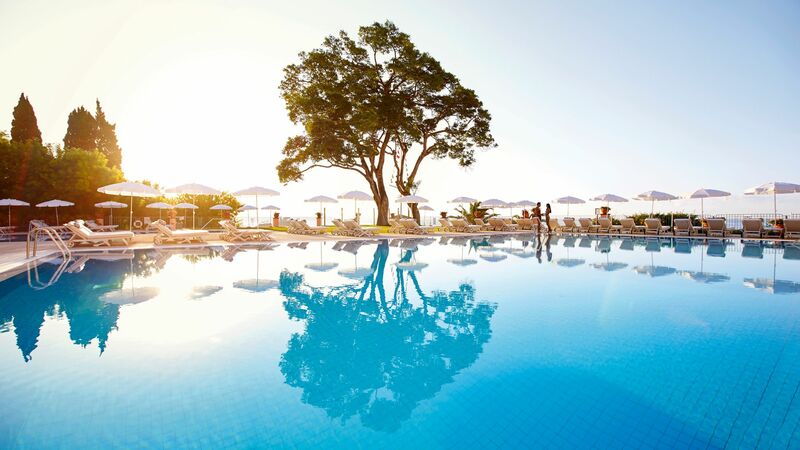 We’ll ensure your holidays is fantastic from start to finish, how about cliff side romance at Belmond Reid’s Palace? 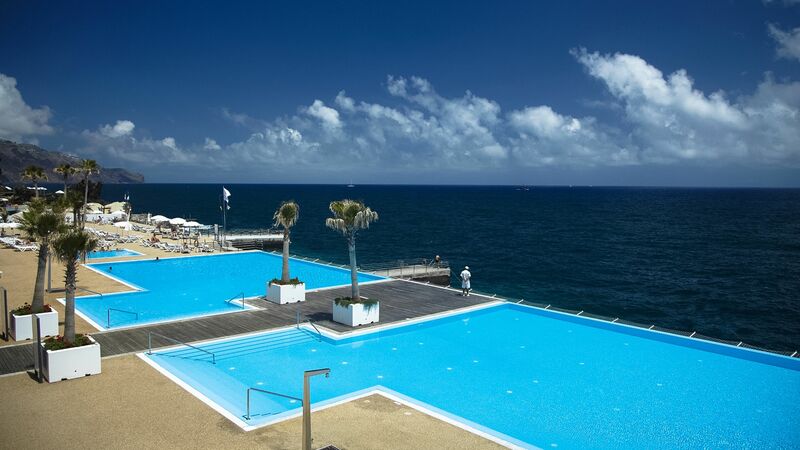 The Cliff Bay offers luxury amenities and facilities overlooking the crystal clear Atlantic, with six bars and restaurants to choose from and a fantastic spa where you can relax with a massage as you take in the views of the bay. I would definitely recommend getting back to the Old Town from Monte by sliding down the steep hill on a traditional wicker toboggan (30€ for two). Flight time from the UK to Madeira is around 3 hours 45 minutes. Transfer time from Madeira airport is approximately 20-30 minutes. Madeira has a pleasant mid-20s average throughout summer, with mild temperatures in the spring and autumn that are ideal for beach-going, sightseeing and golfing. Madeira tends to get most of its rain out of the way in November and December, leading to beautiful springs. Many hotels and restaurants include a service charge, so check your bill carefully – if it hasn’t been included, you should leave around 10% tip. Taxi drivers, hotel staff and other tourism workers are normally tipped two or three euros and it’s common to tip taxi drivers 10% of the fare.